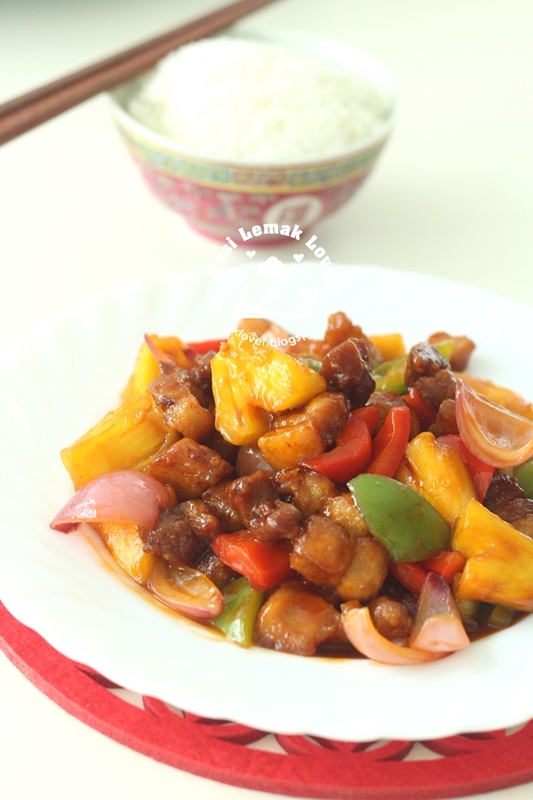 Gu Lao Rou a.k.a Sweet and sour Pork a classic Chinese dish. Every Chinese mother have their own version. 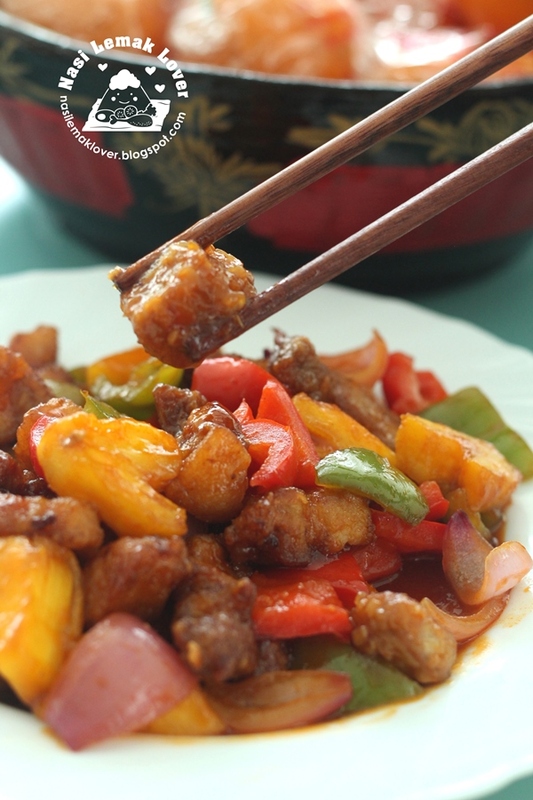 This is my version of sweet and sour pork. 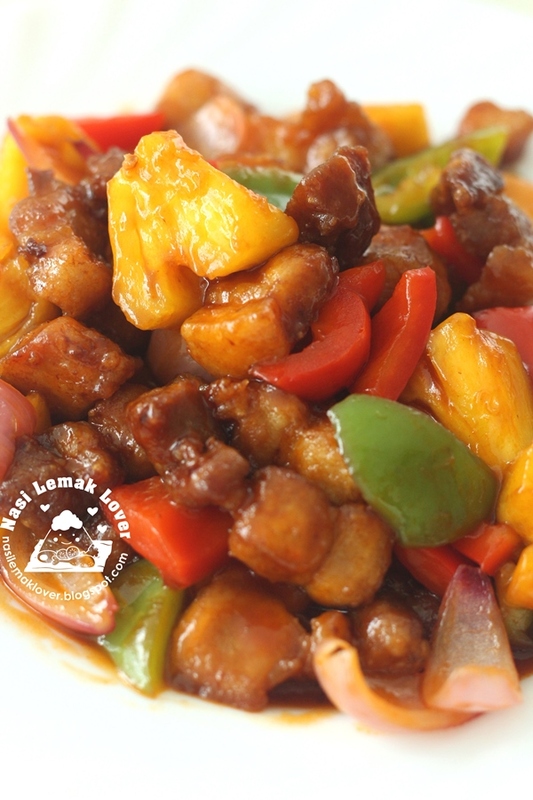 Personally i prefer to use pork belly for this dish, more tender and nice taste of fat after deep fried, yum yum. 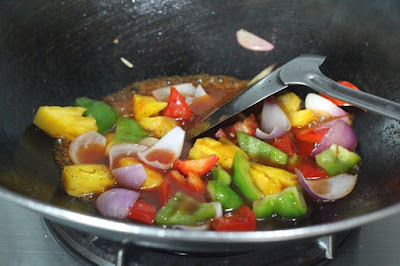 Also try not to omit pineapple in this recipe too, it give fruity sweet and add colour to this dish. 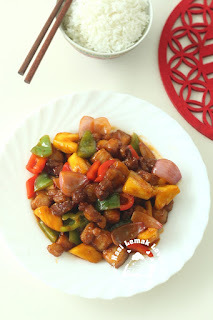 An easy recipe, just make sure you ready all ingredients before cooking, including the sweet and sour sauce. You can adjust the taste of the sauce while cooking, everyone has difference taste buds. Marinate pork belly pieces with light soy sauce and salt for at least 30mins. 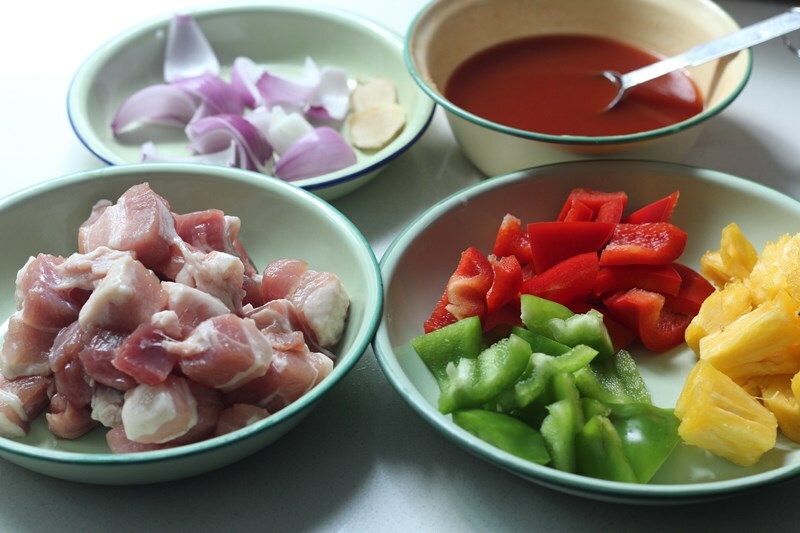 Mix all ingredients for sweet and sour sauces in a mixing bowl, set aside. Coat marinated pork pieces with cornstarch. 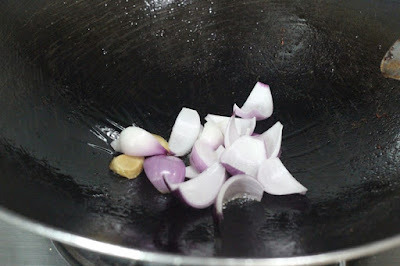 Deep fry in hot oil over medium low heat till cooked and slightly brown. 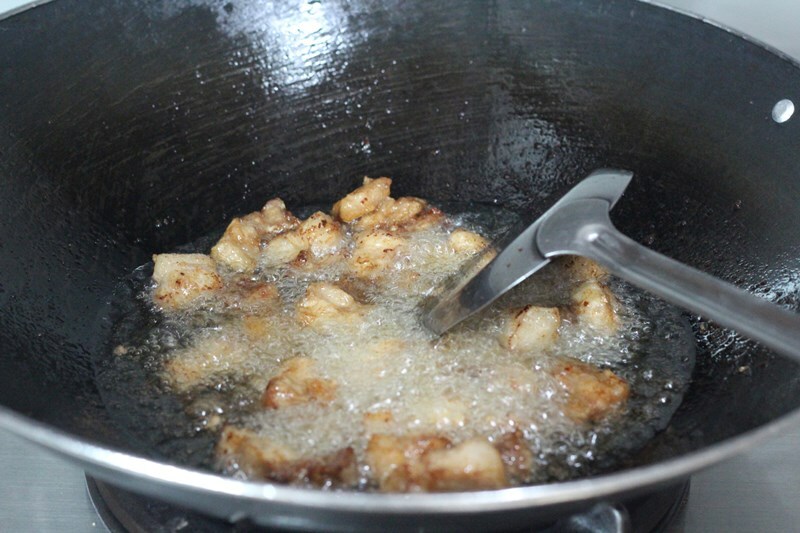 Return all fried pork into hot oil and fry it over high heat for less than a minute until golden brown and crispy. Remain 1tbsp of oil in the wok, sauté onion and ginger till aroma. 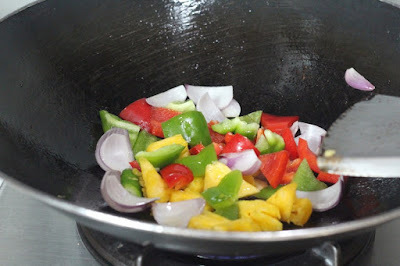 Add in red bell pepper, green bell pepper and pineapples, mix well. Pour in sweet and sour sauces, bring to boil. 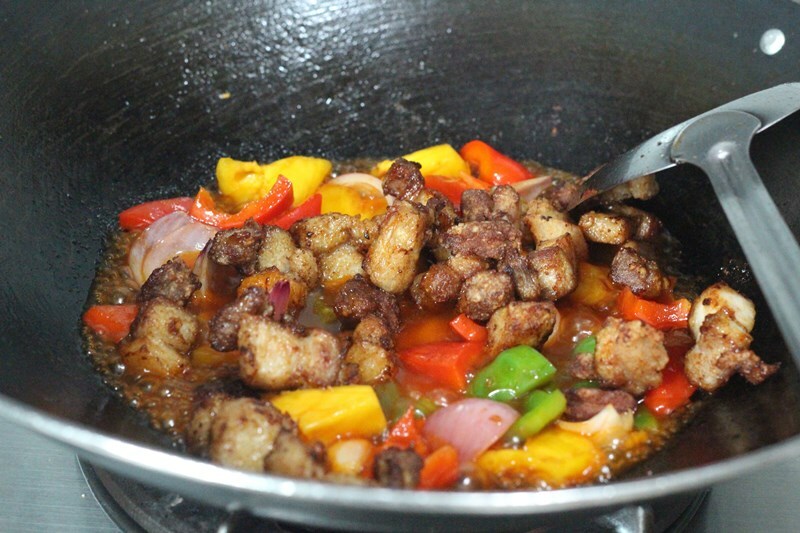 Add in fried pork and continue stirring till sauce thickens and all ingredients well coated with the sauces. Dish out and serve hot or warm with steamed rice. my favourite dish but I have not tried cooking it..we always order this dish at the shop. Hi Sonia, Gongxi Fa Cai. A very Chinese dish suitable for CNY. 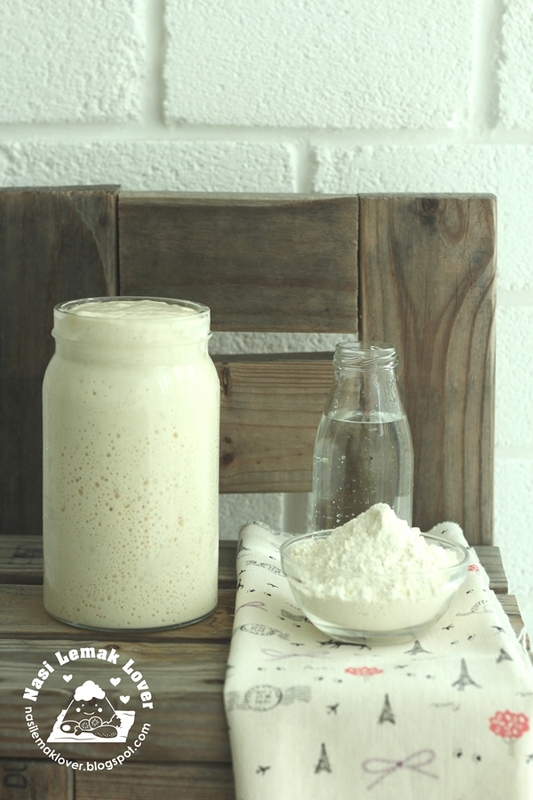 Appetising with rice. Hip Hip HooRay! It's Asher's Birthday and My blog moving day! 3 awesome macrobiotic recipes: Fried brown rice, Vegie stew & more! Nasi Lemak Lover by Sonia is licensed under a Creative Commons Attribution-NonCommercial-ShareAlike 3.0 Unported License.